I have been a TaylorMade “fanboy” since my first TaylorMade driver purchase, the R5, and I am not ashamed to proclaim said adoration. I fell in love with that club after the very first swing! The golf ball just seemed to rocket off the face of that club compared to the others I was hitting at the time (knock-off Big Bertha’s, first gen.). 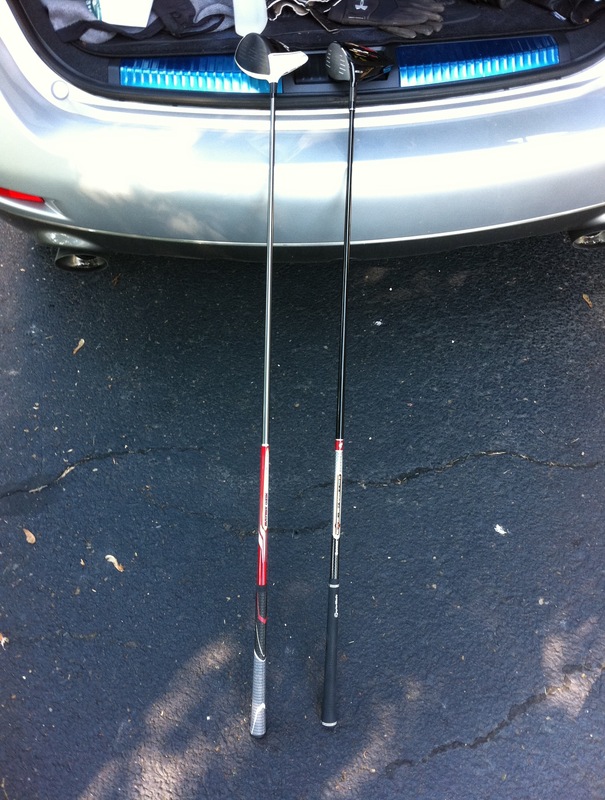 Just like most of us who are completely addicted to golf, I like to upgrade my equipment when I am able. For the purposes of this comparison article I will not go though a listing of all my upgrades, only to say that I brought my 2008 Tour Burner out of retirement after coming to the conclusion that my R9 was not a good fit for my game. I will say though as of the date I write this, I shall be interred with that R5!! 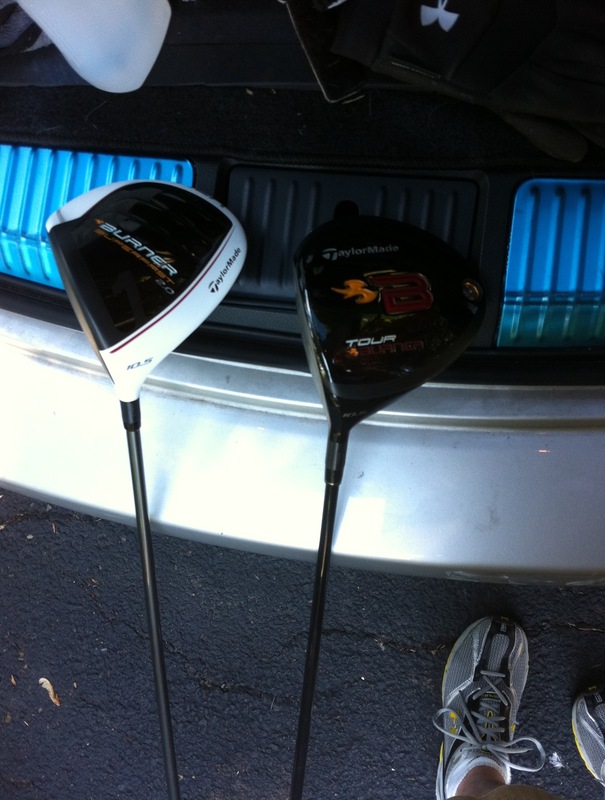 With that said, on to the topic at hand, the 2011 TaylorMade Burner SuperFast 2.0 versus the 2008 Tour Burner. I first hit the Burner 2.0 in March of this year and had a less than stellar impression, but that was due to the fact that I had been shoveling snow and not cracking drives down the fairways. Now, 3 solid months of play later and in the process of getting my first golf handicap, I feel my game and swing is consistent enough to preform a fair comparison. I hit 21 shots with each club. 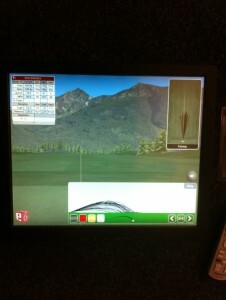 I warmed up with the Tour Burner, those are the shorter shots you see there at the bottom. It took me about 10 strikes to get my average playing distance to record, about 160 yards. Once I got that “dialed in” I took 11 more deliberate strikes with the 2008 Tour Burner; the longest distance was 169 yards, and the highest speed was 106. The next 21 strikes were taken with the 2011 Burner SuperFast 2.0 and I gained 3 extra yards and 1 mph of speed. With that said, the two clubs seem virtually identical! I play a slight draw, as you can tell looking at the graphic at the upper right, and both clubs played the same in that area. This actually makes a rather strong argument against buying the new club purely for the sake of it being new, at least in my case. 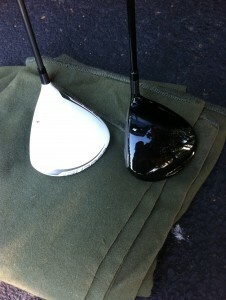 However, it also suggests that TaylorMade makes a consistently reliable product. The real test will be how it plays and if it improves my game on the course. There are definitely differences however, the Burner SuperFast 2.0 is a full inch longer at 46.5 inches and the shaft is 45 grams,15 grams lighter than the Tour Burner. I must admit that the weight, or lack of, was very noticeable in my hands. 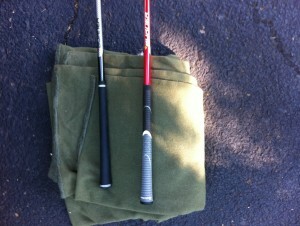 The stock grip is also stated to be lighter. I can not speak to that, but I will say that it “felt” better in my hands than did the grip on the Tour Burner. Finally on to the head, it is white! It is really white! I originally questioned if this was a gimmick, and further wondered if it was going to be a problem as far a the shaft’s shadow upon the crown. The claim made by TaylorMade is that the white cuts down on glare. Well, as shown below, there may just be something to that claim. No glare or reflection. Now that this White Wonder is in my possesion, the next step is to report on how it preforms on the course. I assure you the wait will be a short one! To be continued.